Cool colors of the glacier waters from the Canadian Rocky Mountains. 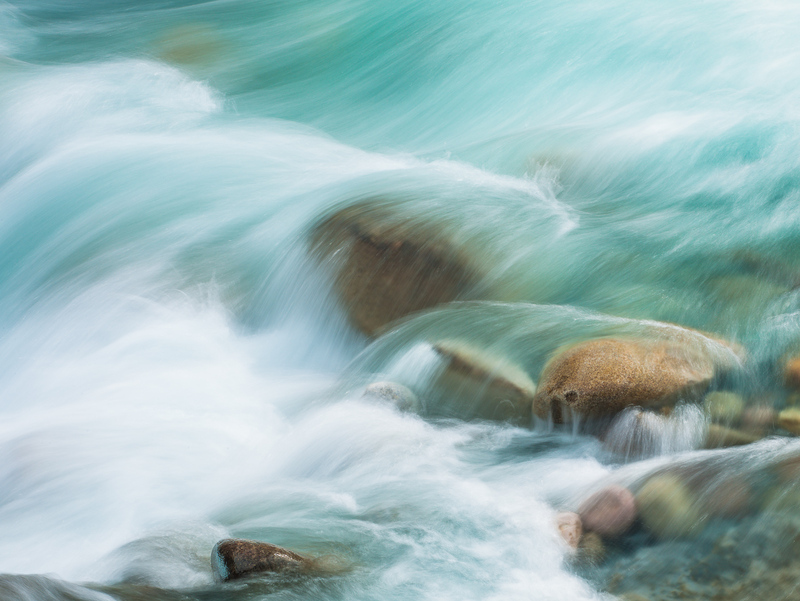 Clean fresh water flows through the streams and bring a sense of peace as they dance along the rocks. Photo © copyright by Lance B. Carter.